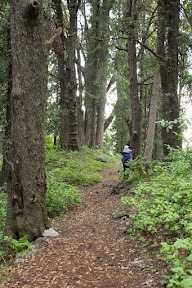 Trek to Dagri Bungalow, passes through some of the dense jungles & Miranjani peak. It takes 5-6 hours from Dunga Gali to reach there. Oct. 25, 2015, 3:35 a.m.